I recently bought this product after trying literally everything else you could care to think off. I have terribly dry lips. I thinks it might be a by product of having eczema on the rest of my face. They peal whatever the time of year and are often really sore, especially in the mornings. On the day I purchased this I had two deep, painful grooves down my lower lip that had been there for weeks and were stubbornly refusing to go away. In the past I’ve tried natural, gentle products. I’ve tried thick, petroleum-based products. I’ve bought cheap balms, expensive balms, thick gels, and smooth creams. Nothing has helped to make my lips any better. The most difference I’ve seen has been when I’ve applied my facial moisturiser to my mouth along with the rest of my face, but as it’s a gel, the effects of that soon wear off also, besides which it really doesn’t taste very nice. 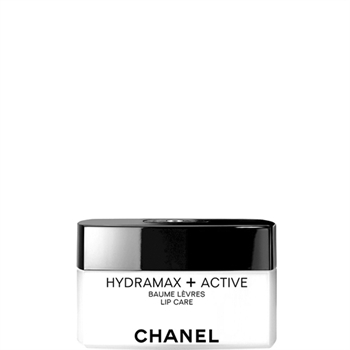 But the moisturiser I use is the Chanel Hydramax + Active. So when I noticed that they did a balm as well I decided to give it a go. It comes in a pretty, little Chanel pot, and you apply the product with your fingers. It’s fragrance free and doesn’t really taste of anything. It has a slightly waxy consistency. The little leaflet that comes in the box along with the pot of balm claims that the product will, “delight delicate lips and leave them smooth, supple and comfortable”. And although my lips initially felt all tingly when I first put it on, a bit like when you first apply some of those lip plumping glosses, when they settled down this balm has lived up to it’s billing. In just under a week, the grooves have gone, my mouth doesn’t feel tight anymore and my lips look normal for the first time in ages. I wouldn’t say that this balm has worked miracles, but it does what it says in the marketing and it’s a relief to have finally have found something that puts me out of misery. So if, like me, you’re looking for a last resort to heal damaged lips, I’d say that this product is worth trying. On the other hand if your lips are already in a manageable condition and you’re just only on for a nice, new balm to use I wouldn’t particularly recommend it. For a 10ml pot of balm you can expect to pay £28. Which is half the size a regular tin of Vaseline, for nearly twenty times the price. Which is really far more than anybody should ever need to spend on a lip balm. Tags: Beauty, Chanel, Chapped lips, Lip balm, Moisturizer. Bookmark the permalink.